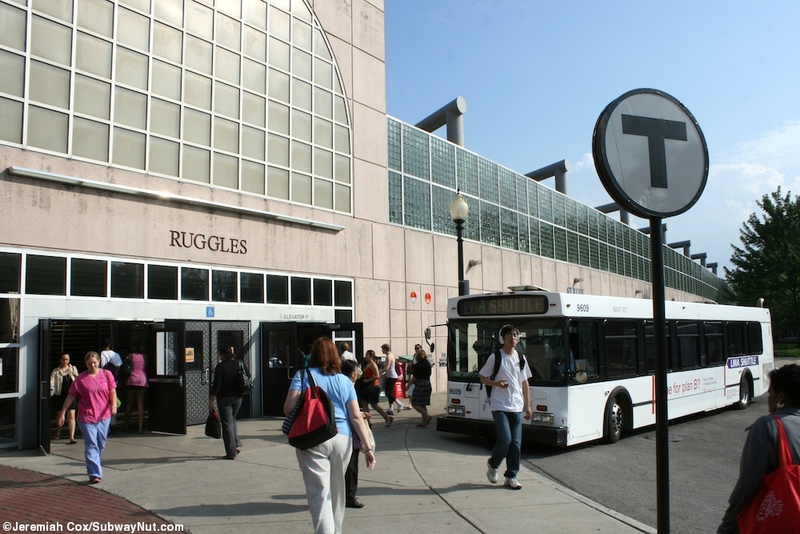 Ruggles is a major station for Northeastern University and bus connections. 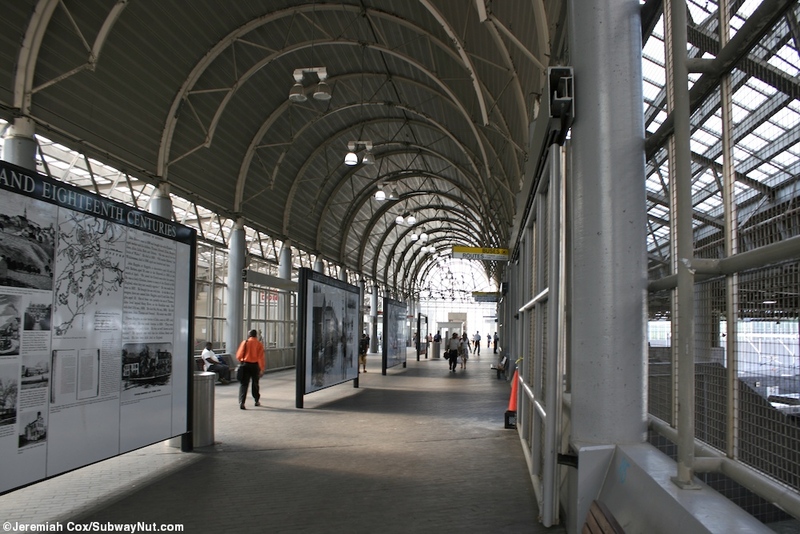 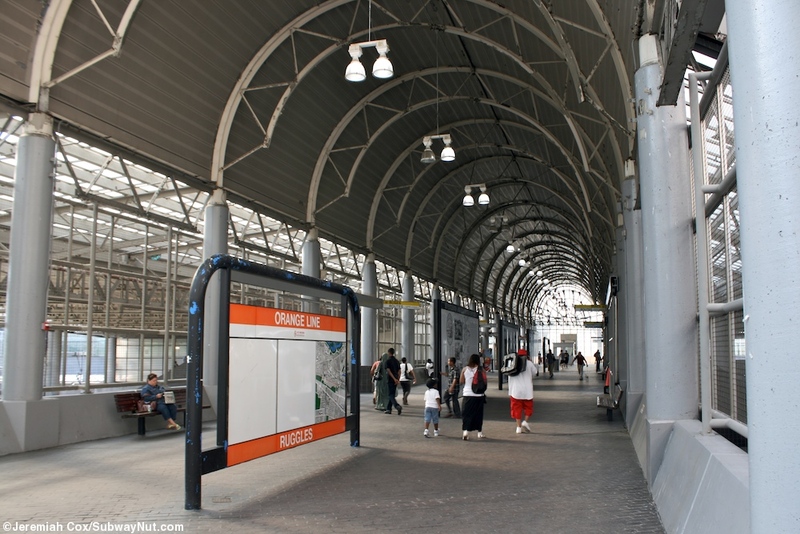 The main mezzanine of the station has a high arched glass ceiling and feels airy and straight out of the 1980s when the station was built. 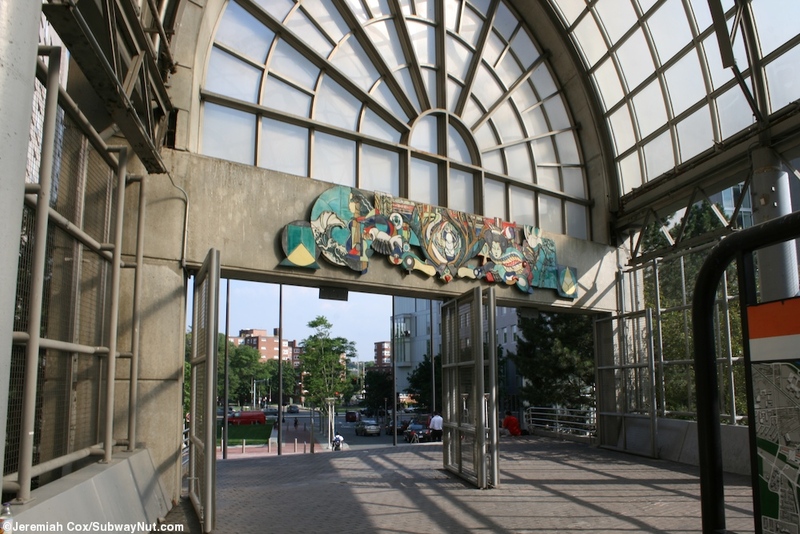 Coming from the east it begins with a staircase up from Southwest Corridor Park a short ways away from Tremont Street. 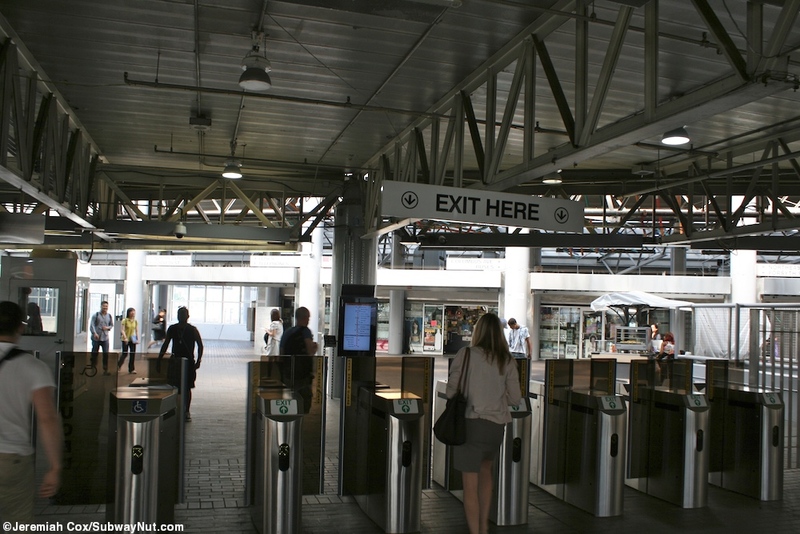 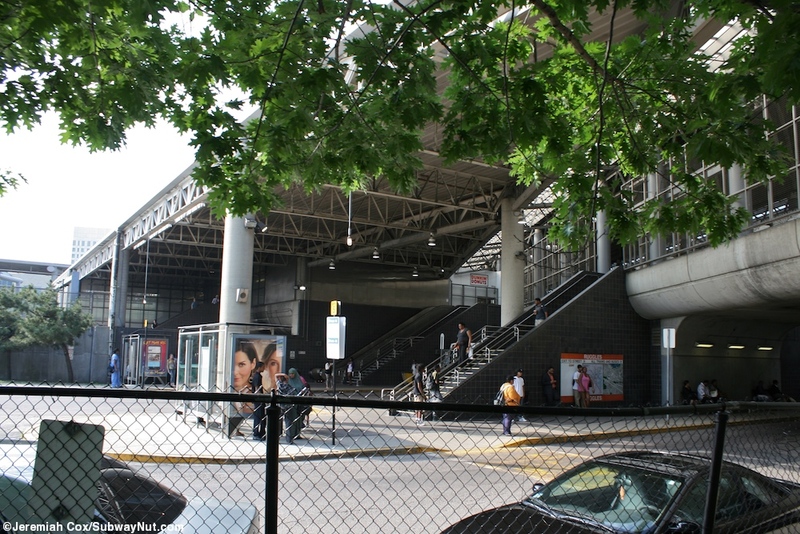 First there are a few staircases down to one set of bus platforms. 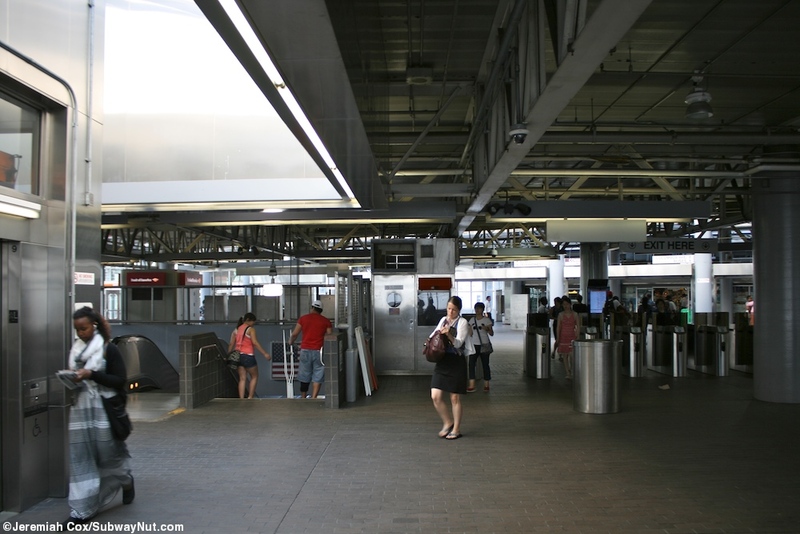 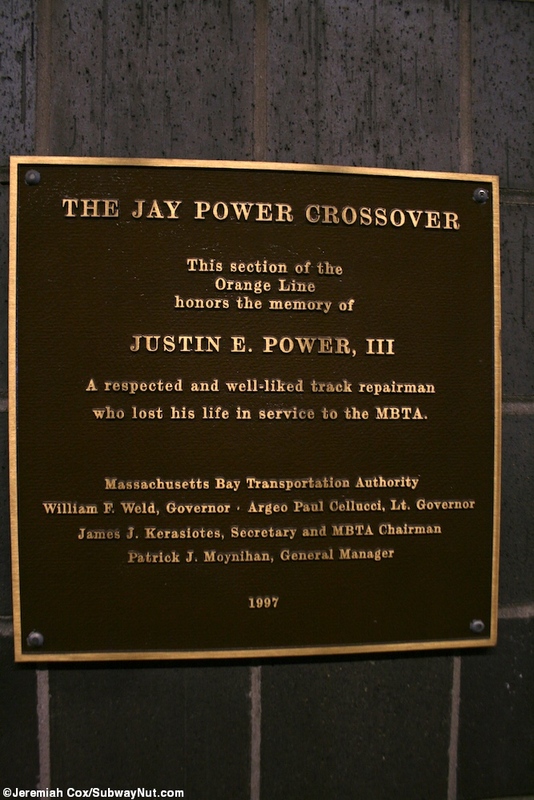 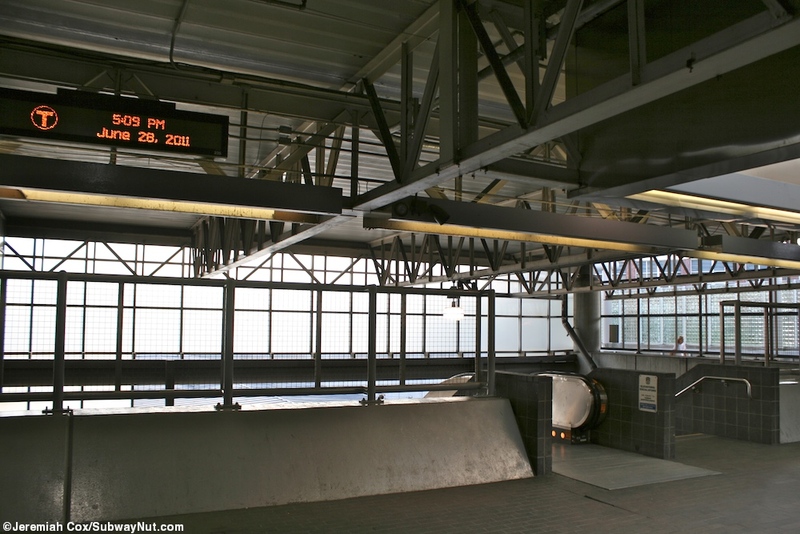 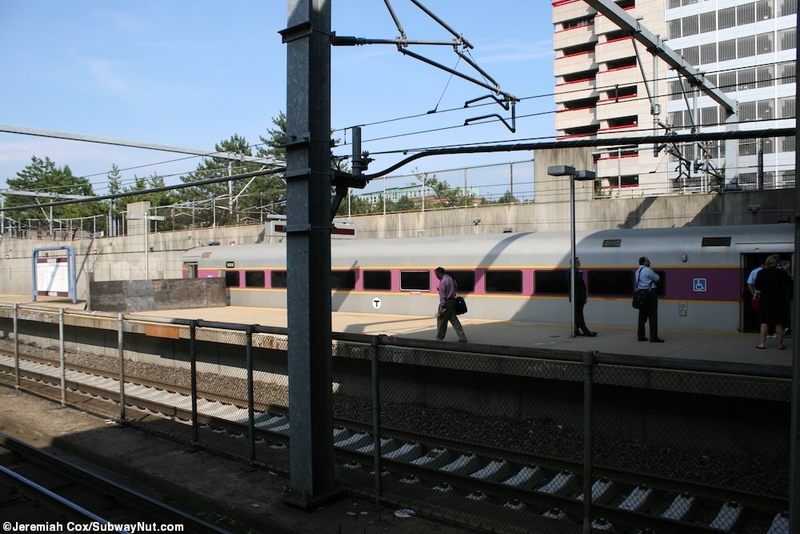 This is followed by the Commuter Rail platform with a long high-level island platform so only two of the three tracks of the Northeast Corridor can platform here accessed via a staircase, up escalator/staircase and elevator from the central mezzanine. 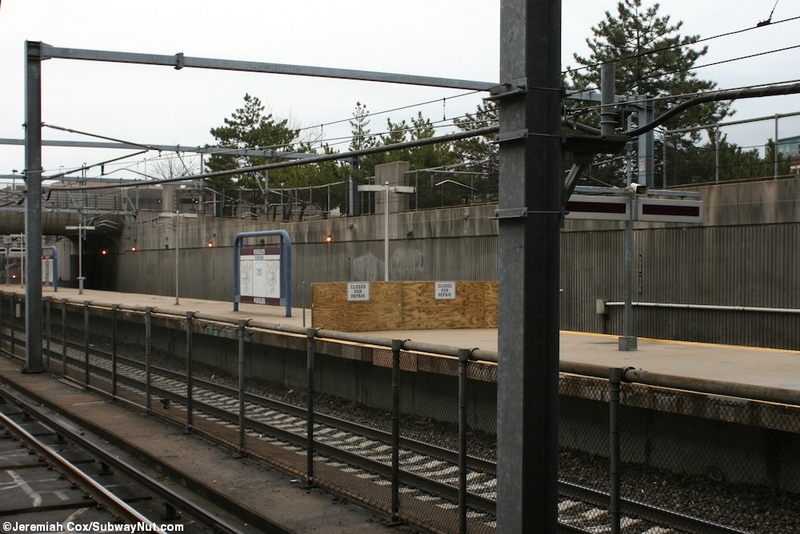 The northern end of the platform is closed off by a plywood fence. 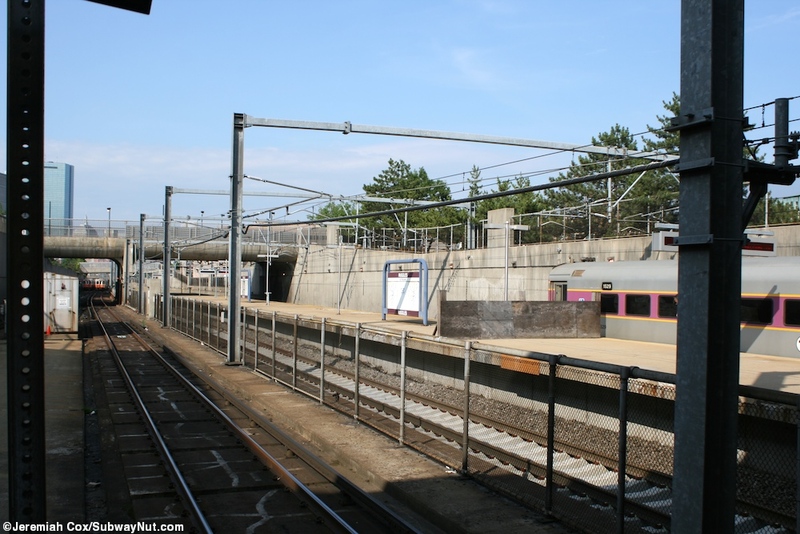 Train service is fairly frequent with many (but not close to all) trains on the Franklin, Needham, and Providence/Stonington Lines stopping. 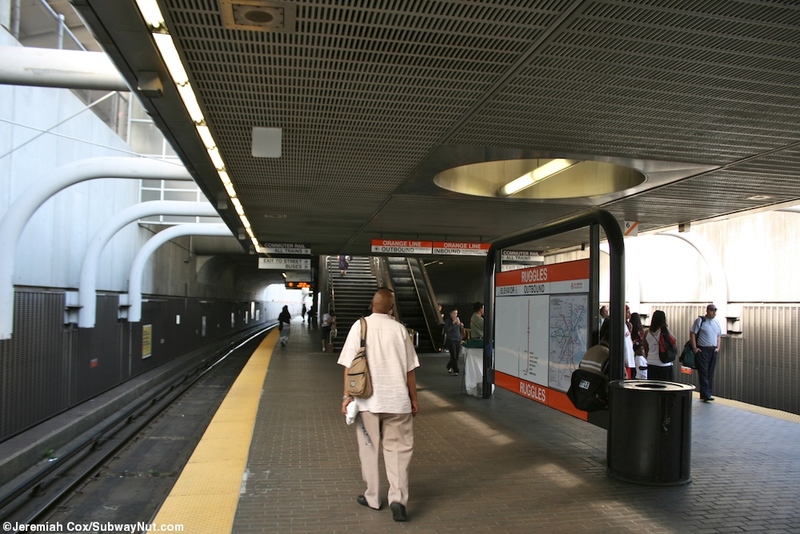 Back to the concourse next are the faregates and entrance to the Orange Line, its island platform is accessed via two staircases/up escalators and an elevator. 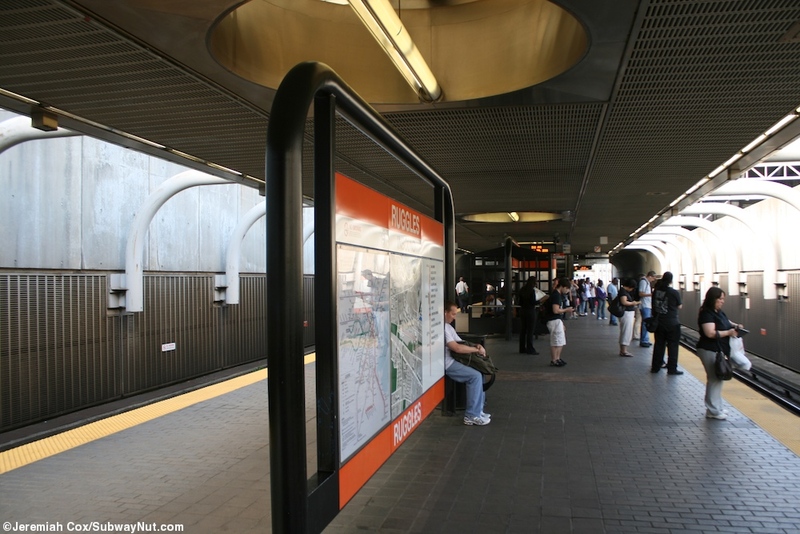 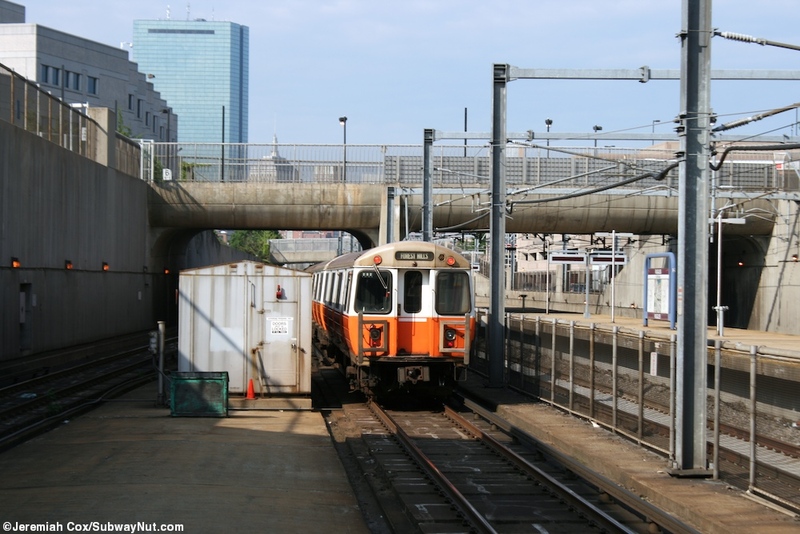 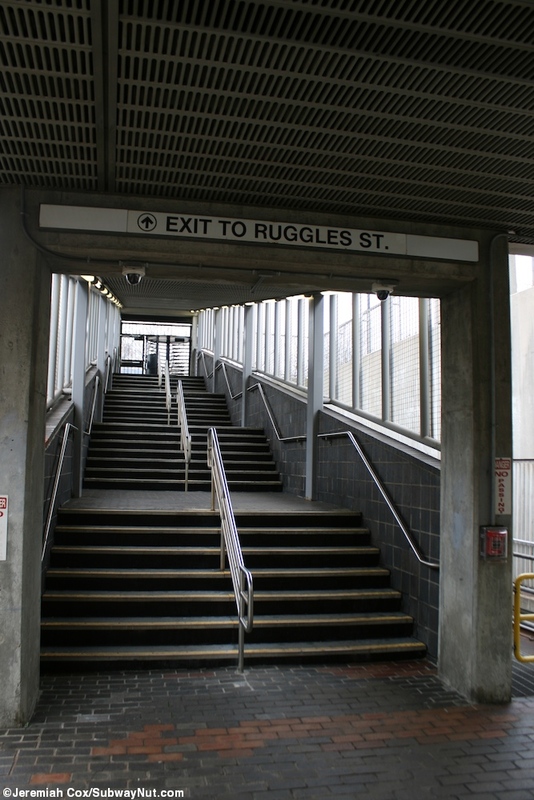 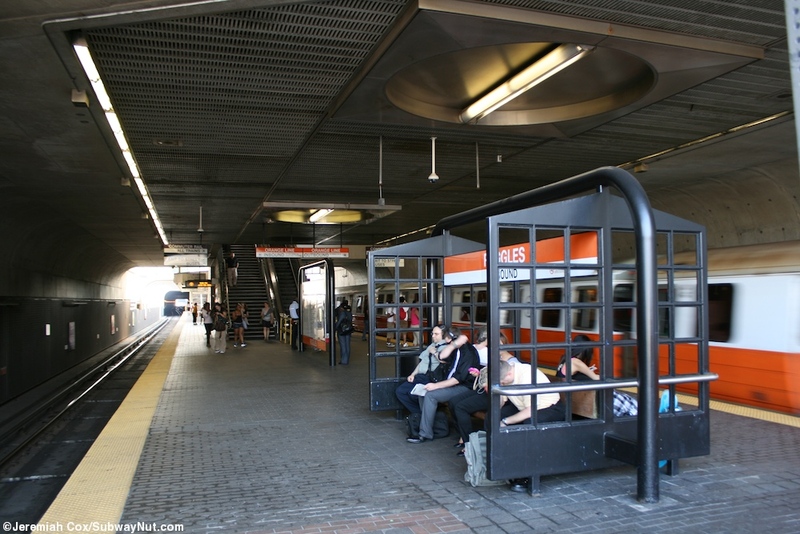 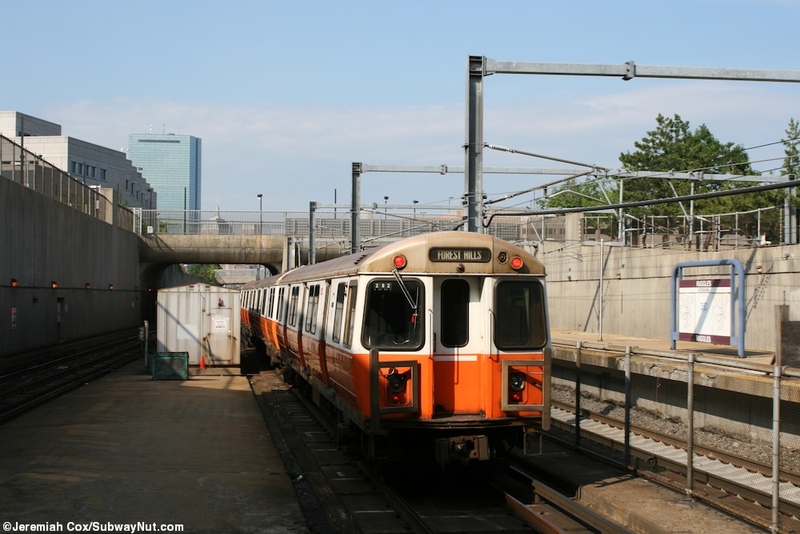 The Orange Line platform at its southern end has an additional exit to Ruggles Street via a staircase up to a high turnstile. 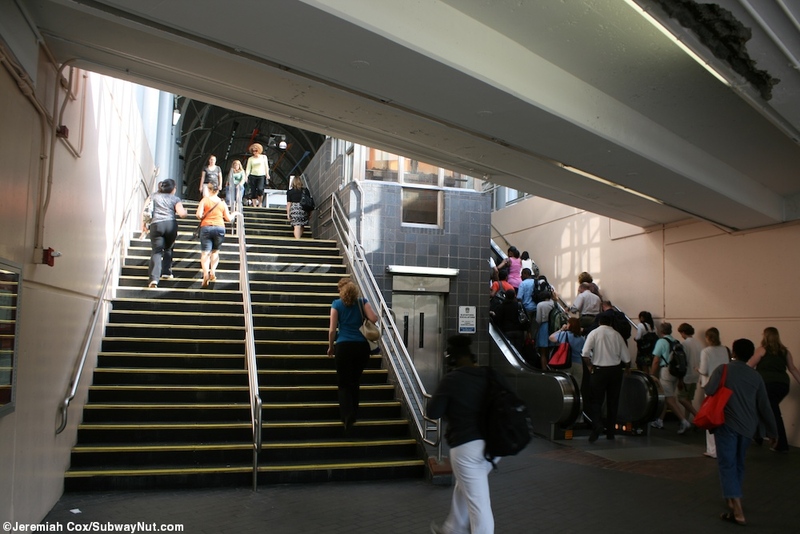 The mezzanine's western end is to another bus loop platform and staircases up escalators and an elevator down to Forsyth Street and Northeastern's Main Campus. 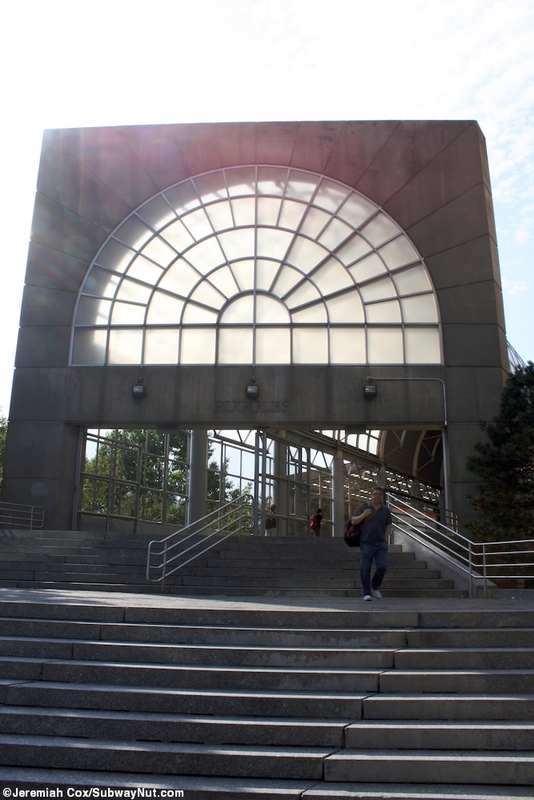 Stairs, escalator or elevator up from Northeastern's entrance?